Before I introduce you to the latest edition of Borrow Low-Deposit High… a report that can help you be a global mutlicurrency investor… let me share what may be a big economic warning about a pattern that has developed… and could impact us immediately… as in right now! This is why have rushed this out Monday morning before the stock market gets going today. I just hope the warning is not too late. I even hope I am wrong since the ideas in our Borrow Low-Deposit High report, I have been told by readers, has helped many of them make millions. I would much rather have a big win than a narrow escape, but the concepts contained in Borrow Low-Deposit High – have also helped readers save millions… and stepping away form markets, is at times, is MORE IMPORTANT than forging ahead. So let’s share some facts that have led to early warnings, again and again, over decades. More than a week before Black Friday 1987 we were able to warn readers to bail out of the market. Since that time the systems outlined in our Borrow Low-Deposit High Report have helped readers save themselves from disaster again and again. These warnings are well documented. So those who used what they learned in Borrow Low-Deposit High were saved from the crash in the 2008 market that you can see in this chart from www.finance.yahoo.com. More recently in October 2009 (the week before the Dow dropped below 10,000) our site issued a Triple Crunch warning that said… “I see three signals of caution in equity markets that could cause a market crunch”. Once again our study of frequency in the market had spotted potential for a serious drop and sure enough it did! Finally in 2010 seasonality warnings on April 21, 2010 (https://www.garyascott.com/2010/04/21/7482.html) and Economic cycle warnings May 3, 2010 (https://www.garyascott.com/2010/05/03/7480.html) alerted readers just before the largest one drop of the Dow in history. 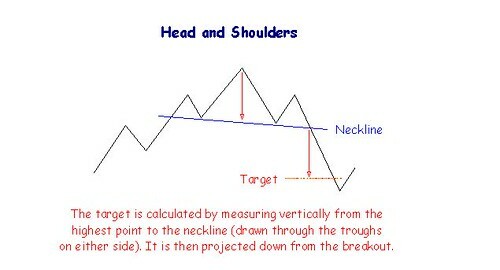 Here is the big economic warning: There is a strong long term head and shoulders pattern in the Dow… right now. You can see it in this chart from www.finance.yahoo.com. Most investors will miss this because it only becomes obvious when looking at really long term charts. This chart for example looks at the Dow from 1930 to 2010. In short this is a huge sell signal on the Dow and the way the market has been oscillating… I am taking this chart seriously! Yet we are not market timers and the data in Borrow Low-Deposit High report I want to tell you about offers a view far more global view than just the US stock market. American stock price movements are just one of many indicators you’ll can learn to use in a search for global investing balance that can preserve the purchasing power of your wealth. The information in this report helps you learn how to calculate the risks and rewards of currencies, interest rates, bonds, stocks and cash so you can diversify your portfolio in good value and attain balance in an increasingly destabilized economic world. The first edition of Borrow Low-Deposit High was published over 20 years ago, but the roots of this publication flow back even further… about 39 years to the Raffles Hotel in Singapore at a time when Multi Currency investing became increasingly more important. Over these past four decades our lives have been consistently improved as technology has allowed an expanding global economy. This has been good… materially at least, for almost everyone but, global economic changes that have come with the technology forces us as investors to know more about which currencies are most likely to rise and fall. Why be a multicurrency investor? The answer to this question and the roots of this report began over 40 years ago. I had been traveling since 1968 throughout Asia, an investment adviser helping Asians invest in the US. 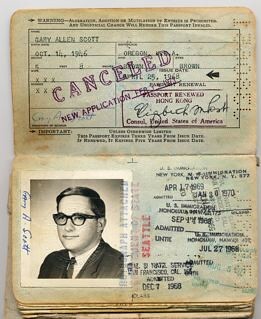 Here is my first passport. I began in Hong Kong…1968. 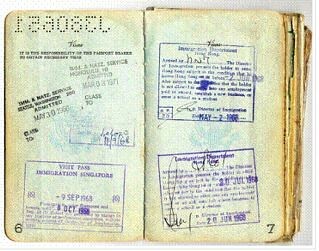 I entered Singapore on May 5, 1971 with a seven day visa, to May 12, 1971. Little did I know that this was the week that would change the world. The Raffles (the famous historic hotel) back then offered a great outdoor restaurant just next to the Long Bar (home of the Singapore Sling). There was something comfortable in the old fashioned pots of thick cut marmalade and slightly burnt toast that stood in racks of sterling silver. This elegant setting and the quiet service was an easy, wonderful way to start the day. I felt in place, relaxed and comfortable, part of an ancient tradition, the modern link in a rite that this hotel had offered for so many generations past. I sat back feeling that all was well. I felt in control and on top of that modern era. That suddenly changed as I was about to learn a serious lesson about international currencies. I opened the morning Straits Times and the headlines declared “U.S. Dollar Devalues”. That comfortable era had just come to an end. International currencies were in turmoil. That day, when the dollar devalued, money changers would not take the greenback. I couldn’t pay for my hotel. I couldn’t even pay for breakfast and I was 12,000 miles from home. Was I ever scared! Since that day I have never trusted the US dollar or any other single currency. This has reaped rich rewards. Betting against the US dollar (as I have again and again over these four decades) has been exactly the right thing to do. As the chart below shows, the greenback has lost about 75% of its value against other major currencies. 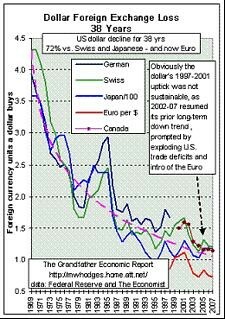 The chart below from Grandfather.com shows how much the US dollar has fallen for almost 40 years. So what currencies should an investor hold? The answer to this question is one that can create fortunes or can ruin an investor’s financial well being. Yet there is no continual correct answer. A good currency balance continually changes! This is why I, with the aid of Jyske Bank, I have updated this report with three goals. #1: Help you improve creative skills for developing global investment ideas that serve specific, personal needs. #2: Help you learn how to stick to good investment ideas and get out of bad ones. #3: Help you understand multicurrency investing because in this latest edition of Borrow Low-Deposit High, you will see…we need this ability more than ever before. We hope you will be able to use this course, but if not…we’ll keep sending our warnings and thoughts about values of the markets and currencies as they unfold. The updated, latest edition of Borrow Low-Deposit High is available now. $79. This price includes the next update which will come when we view the next important economic shift. This report comes with our 30 day money back if not satisfied guarantee. Order here.